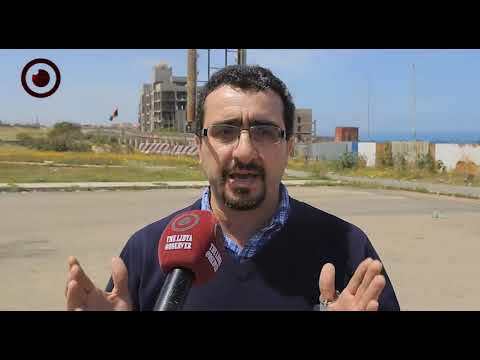 Home / Haftar's forces strike El Feel oilfield, Libya's Presidential Council condemns it as "terrorist act"
Haftar's forces strike El Feel oilfield, Libya's Presidential Council condemns it as "terrorist act"
The self-styled army's Air Force - under Khalifa Haftar's command - has carried out an airstrike on El Feel oilfield in southwestern Libya, hitting the runway as a Libyan Airlines airplane was preparing to transport sick and wounded people for treatment in Tripoli. 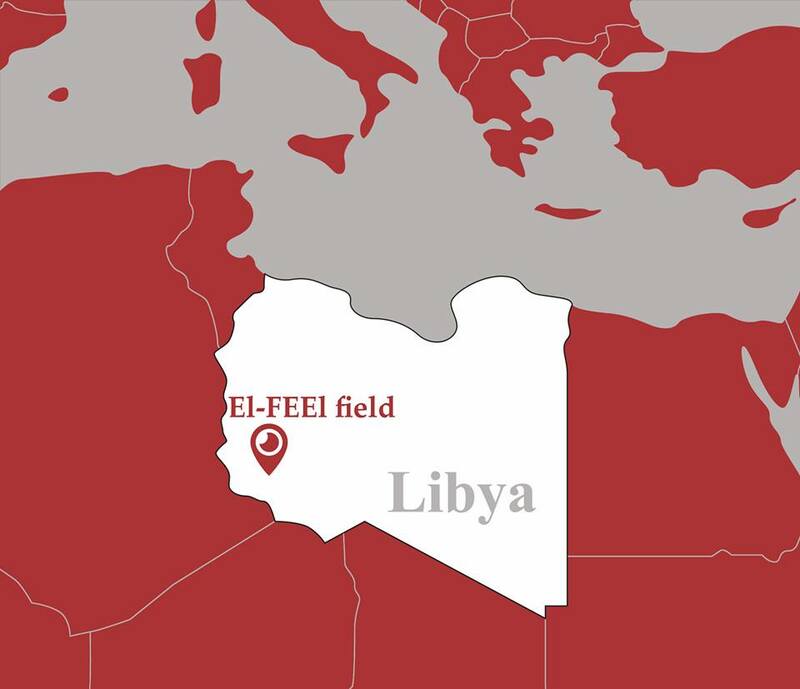 According to sources from the scene, no casualties were reported and the strike hit the runway of El Feel oilfield. 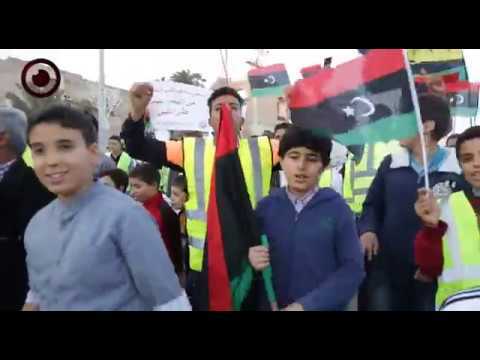 The attack on a civilian plane was rendered by the Presidential Council (PC) as a terrorist act that is punishable by Libyan and international laws. 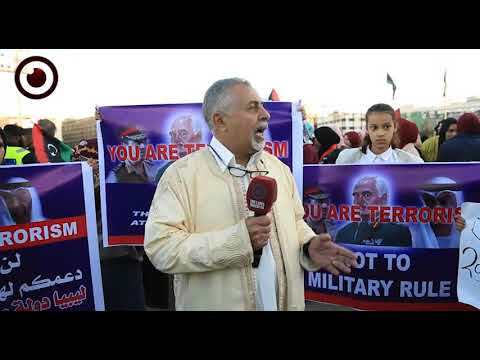 "We condemn in the strongest terms this attack by the General Command of eastern Libya on Libyan civilians and we consider it a terrorist act and a crime against humanity." The PC said in a statement Saturday, following the attack. The PC also said that it had instructed the Foreign Ministry to document the attack and present it to the United Nations Security Council. "Those responsible for this attack are subject to punishment by law and shall be held accountable. 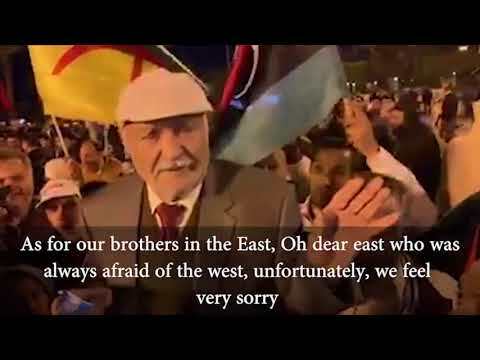 This is an attempt to deprive Libyans of their oil resources and to drag Libya backward into chaos and war." The statement reads. 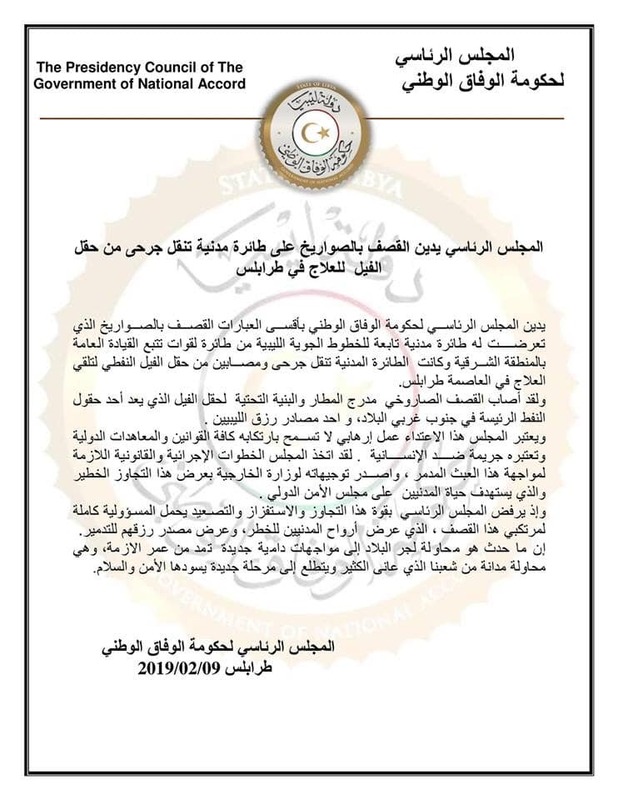 Meanwhile, Haftar's Air Force said the strike came as an implementation of a Thursday no-fly zone order in southern Libya. Haftar's warplanes also bombarded a civilian residential area in Murzuq town - mostly Tubu-inhabited - in southern Libya on Friday causing material damage only. Last Monday, 7 people were killed and 22 were injured in an airstrike on Murzuq town by Haftar's warplanes. Haftar's forces launched a military operation in southern Libya and had been using, according to sources, Sudanese Justice and Equality rebels as fighters in some southern districts. Many have been injured and some have been killed in different areas in the south since the start of the operation, with some describing it as "ethnic cleansing of Tubu tribespeople."